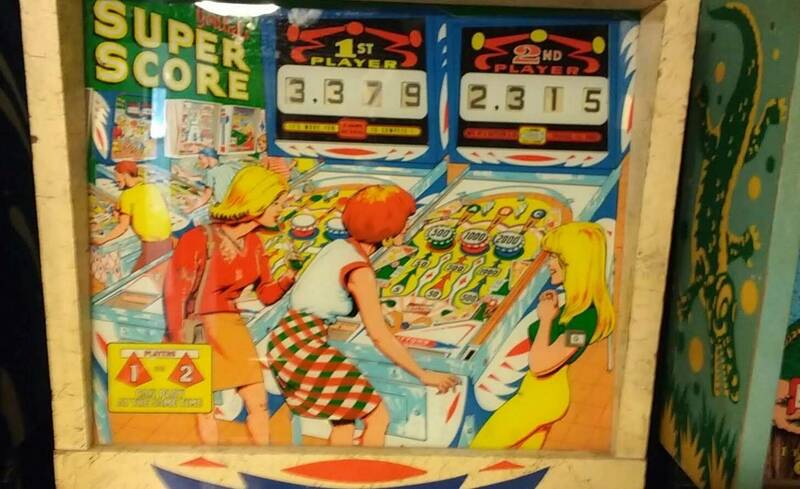 Nice Gottlieb Super Score. 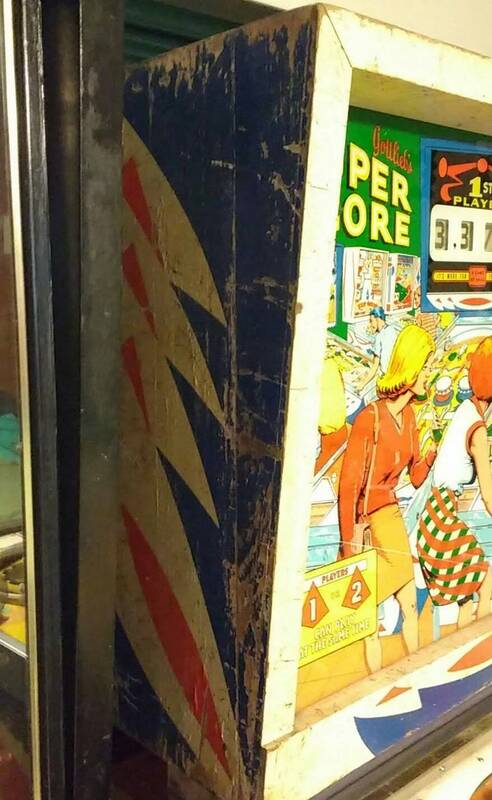 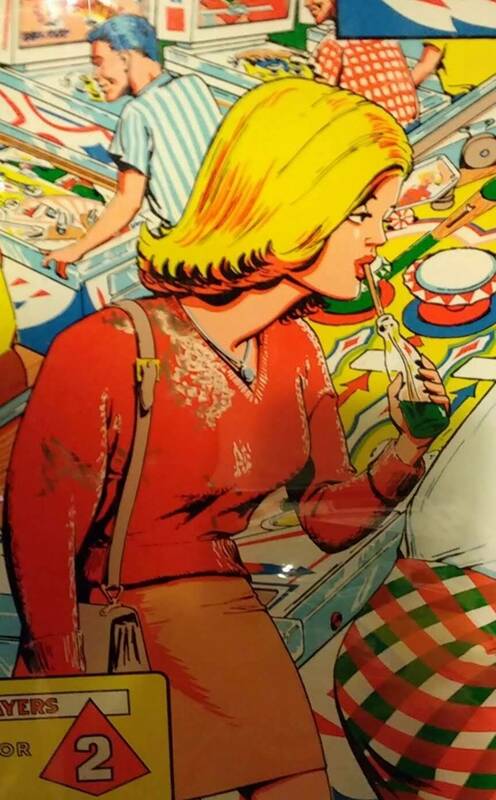 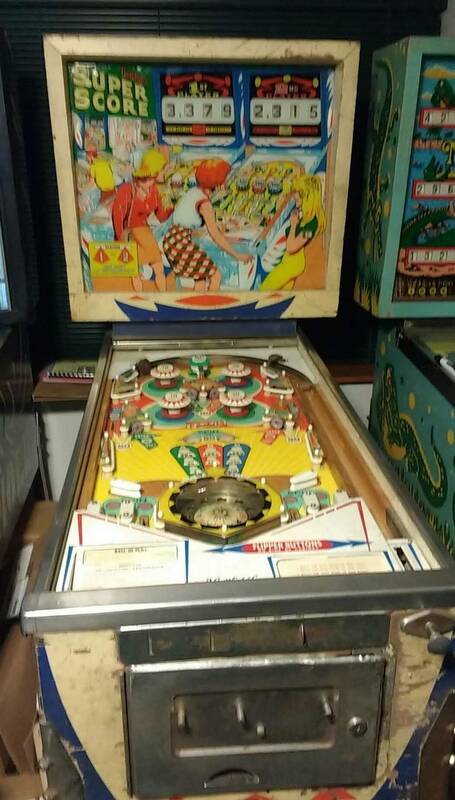 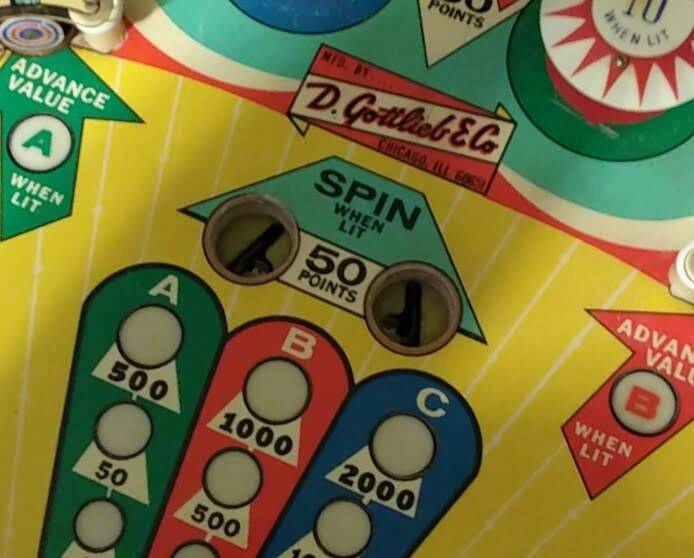 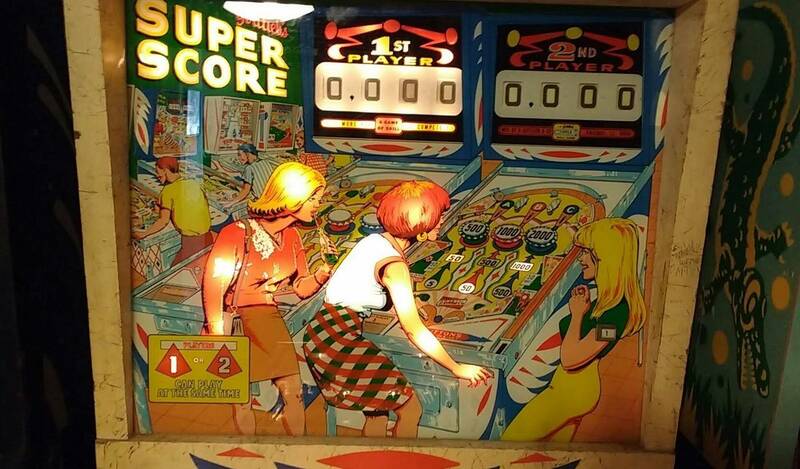 Playfield is in great shape, backglass is good except for flaking on the girl's red shirt. 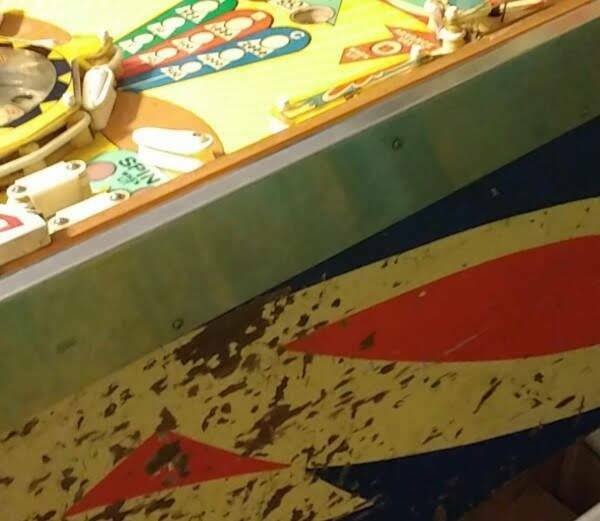 Cabinet could use a new paint job. 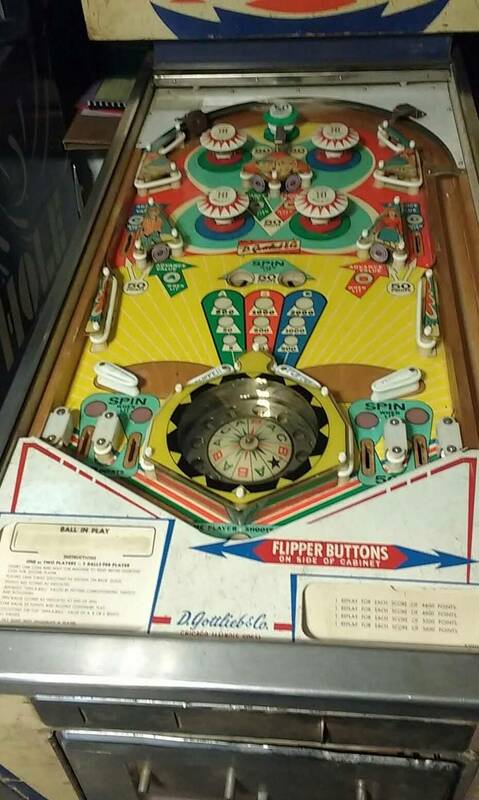 Playfield cleaned and shopped. 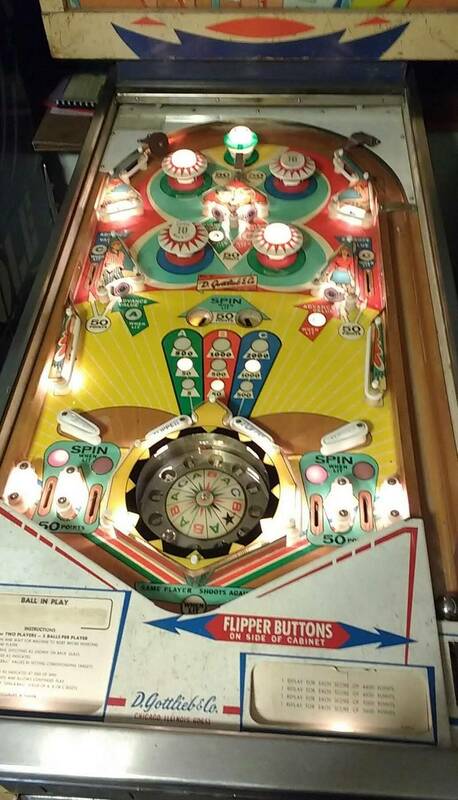 Steppers and reels cleaned, game is fully working. 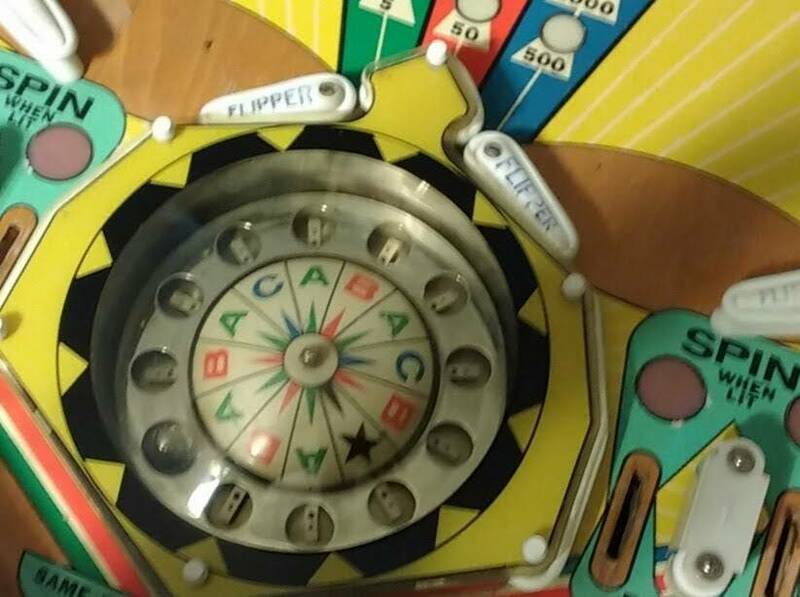 Could use pop bumper and flipper rebuild. 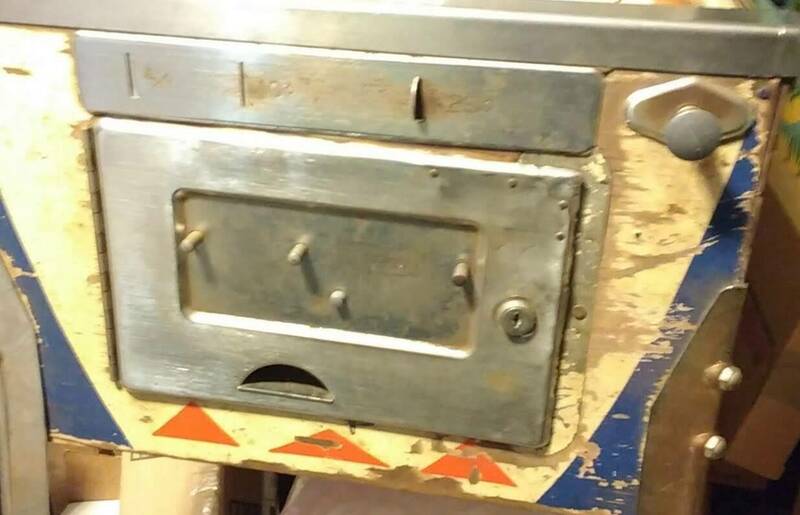 Dead bumper cap has a hole melted in it. 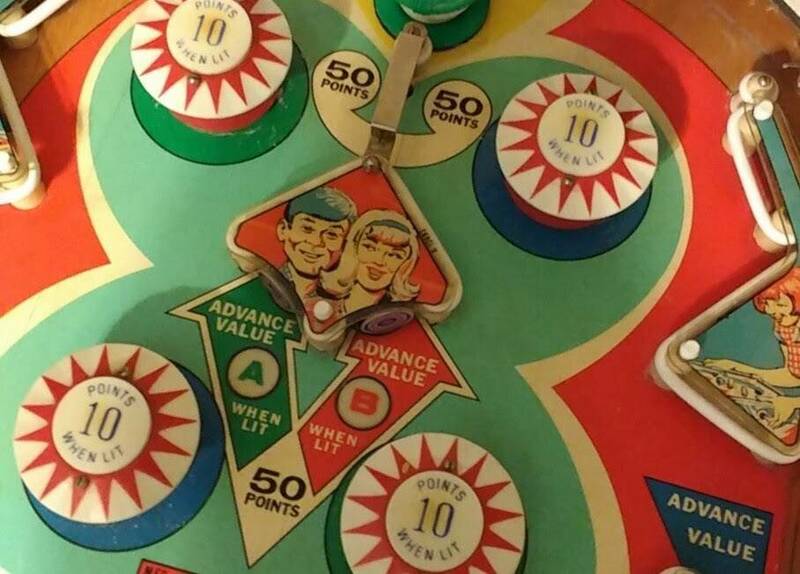 Not a fan of the game, so would rather pass it off to someone who enjoys it to finish up.